Commodities - What Do You Need To Know? When dealing with the buying and selling of commodities, there are things which you need to know. It can be a complicated business, and this means that people who buy and sell products can fall into some of the common pitfalls and experience issues. However, commodities can cover a wide range of different goods and services, so there are things that you're going to need to know. To try and make sure that you've got a good understanding of how things work, we're going to be taking a look at a few of the things you need to know about commodities. One of the most important things that you need to know about commodities is that to trade them and work with them; you don't need to be a professional. What you do need is to understand a little of what's going on, and how it'll affect your position. Some people choose to work alongside a broker for this, but that's entirely down to how confident you feel as a trader. Commodities is an umbrella term for all the things you're going to see and experience. What you have to know is that there are many different classes and categories of commodities and this will affect your trading. There are hard and soft commodities, which encompass two different markets entirely. A hard product, such as oil, for example, will have an impact on the economic health of a country or place. Soft commodities won't quite have this impact. Learning the difference between the various types of commodities is essential for making sure that you are getting the most from your trading and that you're focusing your energies on a market which works for you. There are certain things which you can't trade when you work in the world of commodities. As of 2016, it's no longer allowed to trade things like water, electricity, lemons, eggs and diamonds. 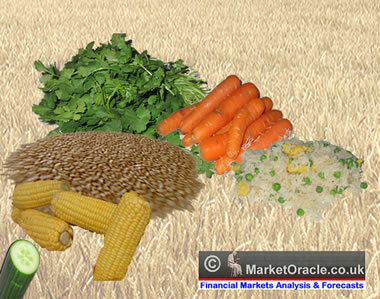 What you also need to appreciate is that there are different types of tradeable commodities. These are divided up into energy, metals, agriculture and livestock/meat. For each kind of product, there will be a unique market with its tips, rules and regulations, so you need to understand them before you start getting involved. Overall, these are just a few of the different kinds of options which you need to consider when it comes to trading commodities and getting involved. Many people choose to work with brokers because the entire market can be quite complicated, but you're also equally welcome to go it alone. However, you need to know these kinds of things about the industry before you start. There's a lot to consider, and it can have a significant impact on the way that you trade. However, when you do manage to get into the world of trading, you'll learn that it can be a significant source of investment and an enriching world to be in.